Mg17Al12 eutectic phase strongly affects the mechanical and corrosion properties of AZ80 magnesium alloy. In this study, the dissolution kinetics of Mg17Al12 phase was evaluated at 420°C. The dissolution was found to follow the Johnson–Mehl–Avrami–Kolmogorov (JMAK) model with time exponent (n) of ~ 0.61, suggesting a decrease in the rate of dissolution of Mg17Al12 with time due to enrichment of aluminum in the matrix adjacent to precipitates. The effect of dissolution of Mg17Al12 phase on the corrosion behavior of the alloy was investigated by dynamic polarization measurements in NaCl solution. Analysis of the morphology of the corrosion surface by scanning electron microscopy and investigation of the corrosion products by x-ray diffraction analysis and Raman spectroscopy suggested an increase in the corrosion resistance of the alloy with a decrease in the Mg17Al12 phase fraction. This was attributed to the loss of effectiveness of microgalvanic cells formed between the precipitate and matrix. The online version of this article ( https://doi.org/10.1007/s11837-019-03470-3) contains supplementary material, which is available to authorized users. 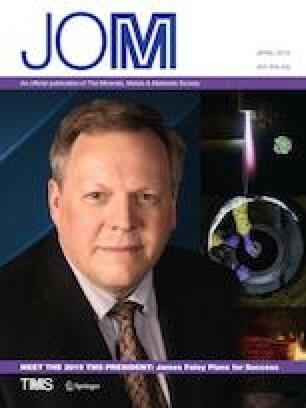 The authors wish to thank Prof. Warren Poole of the University of British Columbia for providing the as-cast AZ80 Mg alloy. The authors acknowledge financial support received from IIT Kanpur to carry out this work. The authors also acknowledge the facilities at Advanced Center for Materials Science (ACMS) and Advanced Imaging Center (AIC) at IIT Kanpur.